Long before portable gaming became popular at home, arcades were the places where kids used to spend a lot of “coins” for playing games like Mortal Kombat or Marvel vs. Capcom. If you ever wanted to play arcade games on iPhone, iPad or iPod Touch, you’d require to install a suitable emulator on your device, which supports arcade ROMs like MAME. Unfortunately, most of these retro game emulators are not available on the App Store due to Apple’s policy restrictions. 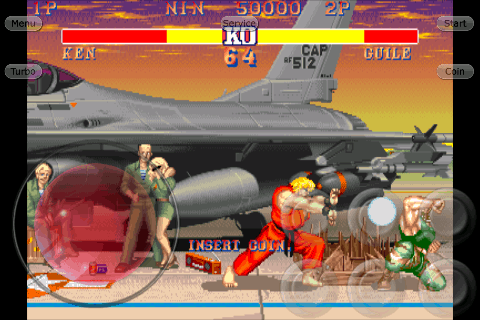 iFBA is a multi-arcade emulator for iOS devices, created by developer Yoyofr, based on FinalBurn Alpha (FBA) v0.2.97. Arcade ROMs can be imported to in-app storage via iTunes File Sharing. Supported ROMs include CPS1, CPS2, CPS3, Cave, Konami, MAME, Neo Geo, etc. Although games aren’t included with the emulator, you can check the list of supported games in the Missing Games Section. The emulator also features some advanced customization settings. For example, you can adjust the video aspect ratio, frame-skip, screen mode, sound frequency, and even disabling the ARM core if the device isn’t powerful enough. To install this app, you’d usually need to jaibreak your iOS device. However, in this article, we’ll demonstrate how to install iFBA on iPhone, iPad or iPod Touch without jailbreaking the device. Note: Some of the features available in the current version of the app may not work on non-jailbroken iOS devices. 2 Is iFBA Emulator safe to install? In order to install iFBA Emulator on a non-jailbroken iOS device, you need to subscribe to a service named BuildStore. BuildStore is a third party app store that enables you to install iOS apps from outside the App Store, without having to jailbreak your device. It uses a paid subscription-based model, and costs $9.99/year per device. On your registered iOS device, open Safari and navigate to the iFBA Emulator app page. iFBA Emulator will be installed on your registered iOS device. Note: You may also check out other arcade simulators available on BuildStore, such as MAME4iOS. Is iFBA Emulator safe to install? Disclaimer: The article is only intended as a knowledge base for installing iFBA Emulator on non jailbroken iOS devices. 7labs may not be held responsible for any misuse of the information provided in the article.